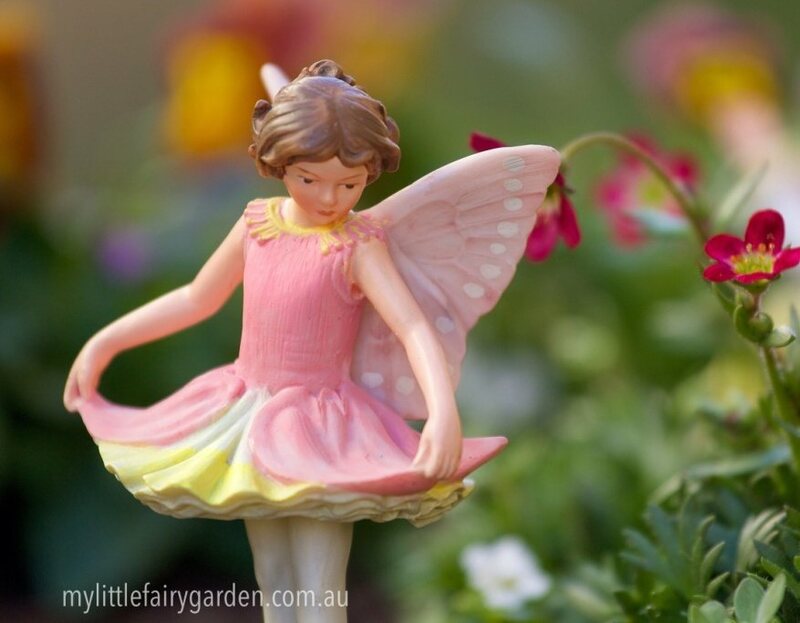 Beautifully hand painted Columbine Flower Fairy figurine. Optional gold string and wire pick included for securing in your display. Individually packaged in its own window display box that includes a biography of the artist, Cicely Mary Barker. As an elf tootles a solo on his pipe, the Columbine Fairy holds her skirts out and delicately twirls to the rhythm. Her light feet, shod in dainty slippers, move so quickly they don't seem to touch the ground. She leaps and spins round the fairy ring, a blaze of pink and yellow. Beautifully hand painted Columbine�Flower Fairy figurine. Optional gold string and wire pick included for securing in your display. Individually packaged in its own window display box that includes a biography of the artist, Cicely Mary Barker.